Specifically designed for the mobile auto detailing industry. American Tank Company’s rectangular auto detail tanks are the perfect choices whether starting a new business, or expanding an existing business. 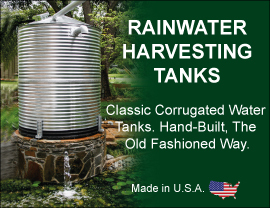 Rugged, impact-resistant, one-piece seamless polyethylene (Poly) construction also makes these rectangular poly tanks suitable for the storage and/or transport of potable water, gray water, most liquid agricultural chemicals, and a wide range of industrial chemicals. American Tank Company supports the manufacturer’s 1-year limited warranty dependant on the chemical compatibility of the intended contents with the tank, and tank fitting materials. Call toll free today: 1-877-655-1100 to speak to one of our friendly and knowledgeable Auto Detail Tank Specialists.